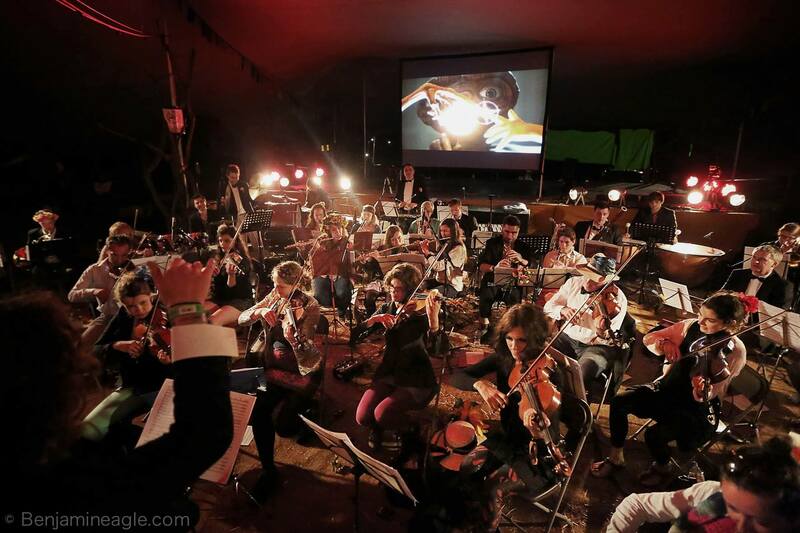 The Wilderness Orchestra are now an annual fixture on the two main stages of the Wilderness Festival. 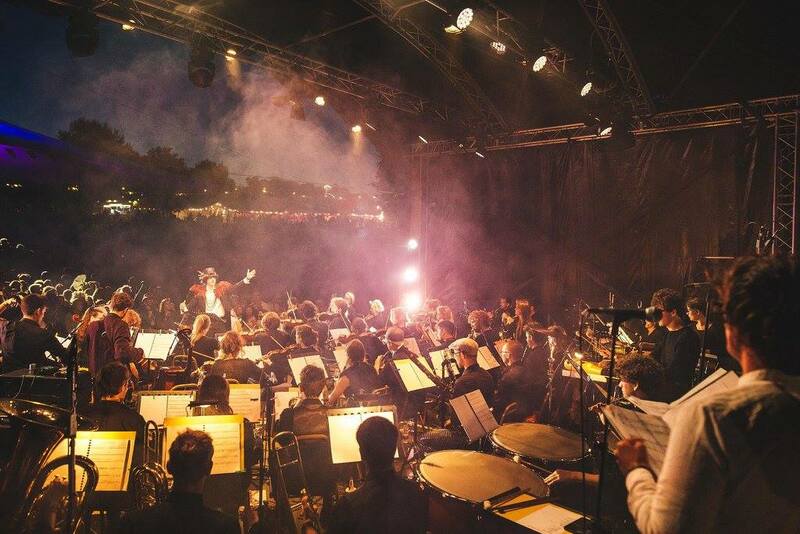 We make it our aim to collaborate with as many of the major festival artists as we can each year, but also to involve as many audience members as we can in our choir and onstage with the Karaorkestra big-band. We're not always art, but we're always fun. Here are a few of the highlights. 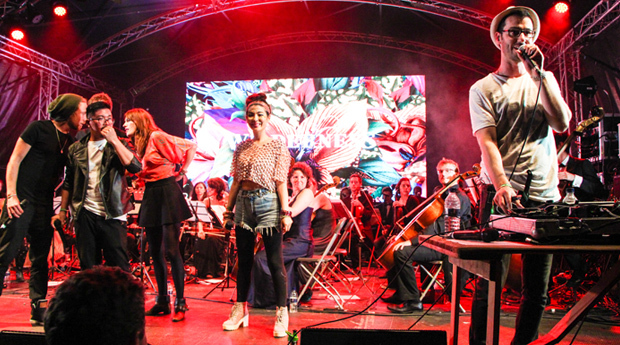 We created an epic 90-minute memorial for David Bowie with guest singers Kate Nash and Charlotte Church, and ably supported by a 40-person choir from the London Contemporary Voices. I personally orchestrated 16 Bowie Songs. Earlier in the day we put on our first kids show with stunning soloists from the London Contemporary Voices. I'm not sure who enjoyed it the most, kids or adults. This year saw me fulfill a personal goal of orchestrating Radiohead and Aphex Twin. We performed these with the human roller-coaster ride Camille O'Sullivan. 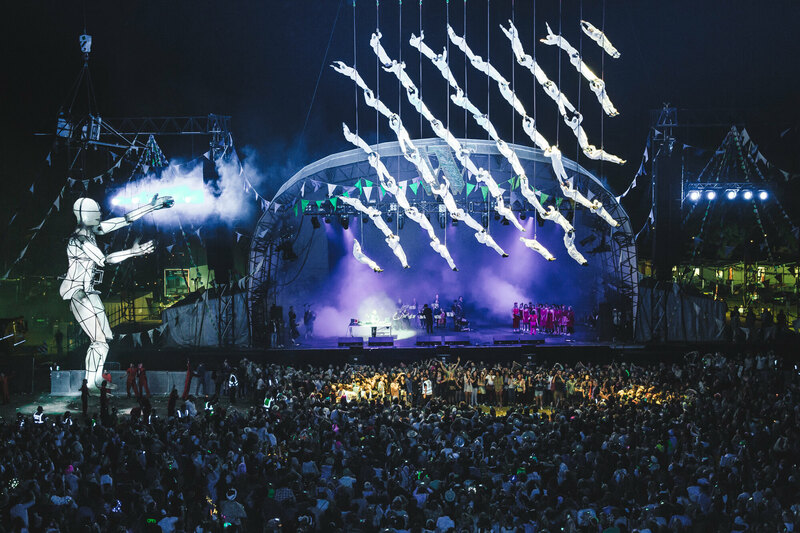 We also did sets with Francesca Lombardo and closed the main stage with La Fura del Baus as part of the Saturday night spectacle. If you look closely you can see some of us clouded in smoke centre stage. 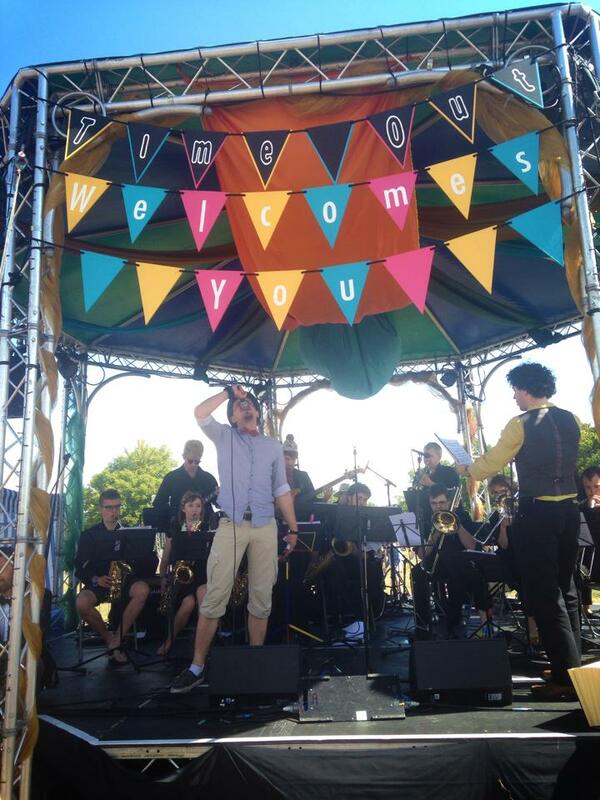 But the highlight for us was when we joined Shlomo and his vocal orchestra for my arrangements of Frontier Psychiatrist and Bohemian Rhapsody. 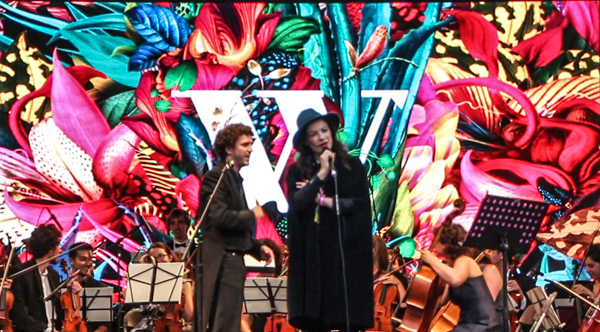 This year we fought off storms to perform our words and music collaboration with WordTheatre: In the Cosmos starring Olivia Williams, Rashan Stone and Jack Whitehall. Beatboxers Shlomo and Reeps One joined us for a few new arrangements at the culmination of our film-show set. 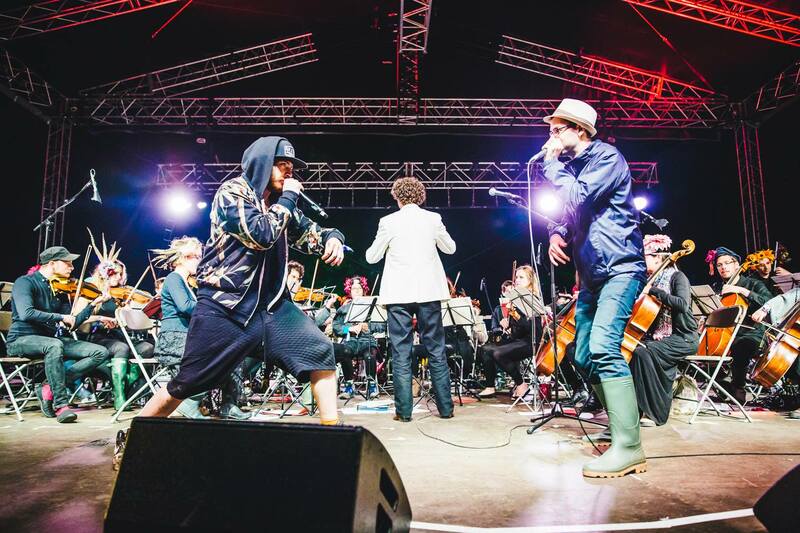 This year also saw the inaugural performance of the Karaorkestra, with our brilliant compere Steven Chatterton. We are a big-band playing well known jazz charts, with the vocals provided by completely unrehearsed, but surprisingly amazing, members of the audience. It is definitely our silliest show, but also one of the most beloved. 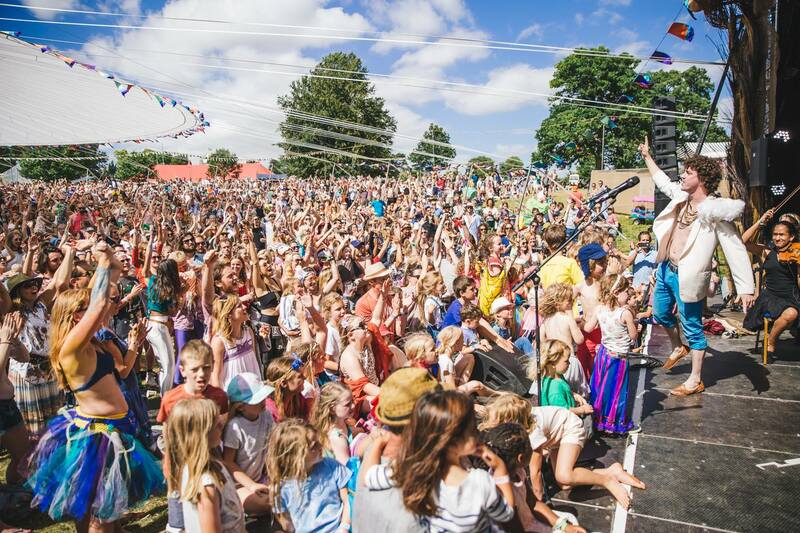 "People were sitting on straw bales, the stage wasn't really a stage and nobody was really sure what to expect when the musicians sat down, tuned their instruments and opened their music." 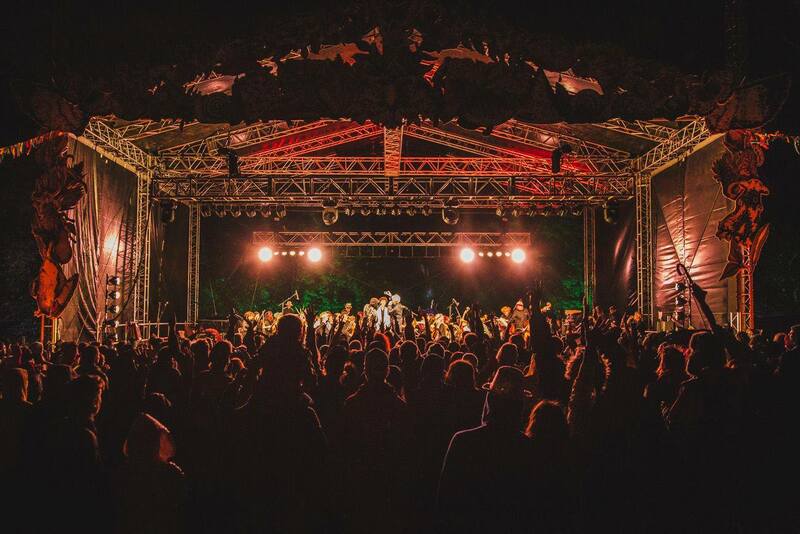 All Images Courtesy of Wilderness Festival, unless otherwise stated.